The 2017 Hyundai Santa Fe Sport 2.0T Ultimate is one of the newest crossovers available in Billings and Lockwood, and it’s also one of the most advanced. From cutting-edge safety and convenience technologies right down to a powerhouse turbo engine, the 2.0T Ultimate is able to engage your attention like no other model on the road today. Keep reading to learn more about this show-stopping crossover. 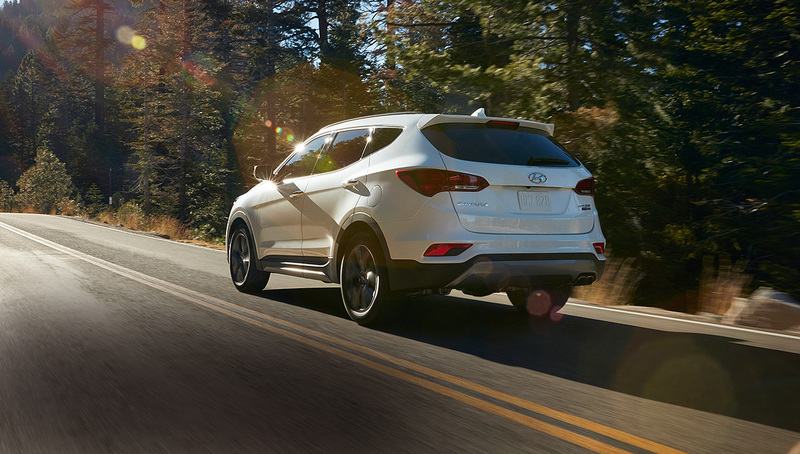 The 2017 Hyundai Santa Fe Sport 2.0T Ultimate harnesses a phenomenal 2.0L inline 4-cylinder turbocharged engine in order to put up to 240 horsepower and 260 lb-ft of torque at your disposal. 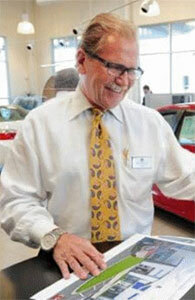 Billings and Lockwood drivers will be able to overtake, accelerate, and cruise with utter confidence. They’ll also be able to tackle the toughest of trails thanks to the available all-wheel drive system. It actually lets you lock the torque split yourself for a perfectly-optimized 50/50 power split between the front and rear axles, which achieves a flawless level of traction. 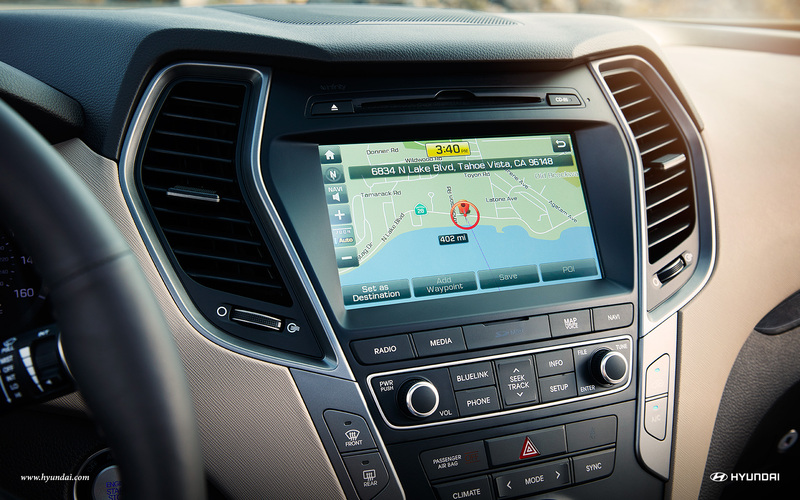 8-Inch Touchscreen System: Comes with Android Auto to let you sync up your phone and control it by voice, as well as GPS navigation. Multi-View Camera System: Four cameras create a 360-degree view around your vehicle, making maneuvers simultaneously safer and simpler. Infinity Premium Audio System: Utilizes QuantumLogic Surround for an immersive audio experience and Clari-Fi Music Restoration Technology for faultless sound quality. The 2017 Hyundai Santa Fe Sport 2.0T Ultimate provides Billings and Lockwood drivers with an enviable selection of driver assistance technologies. 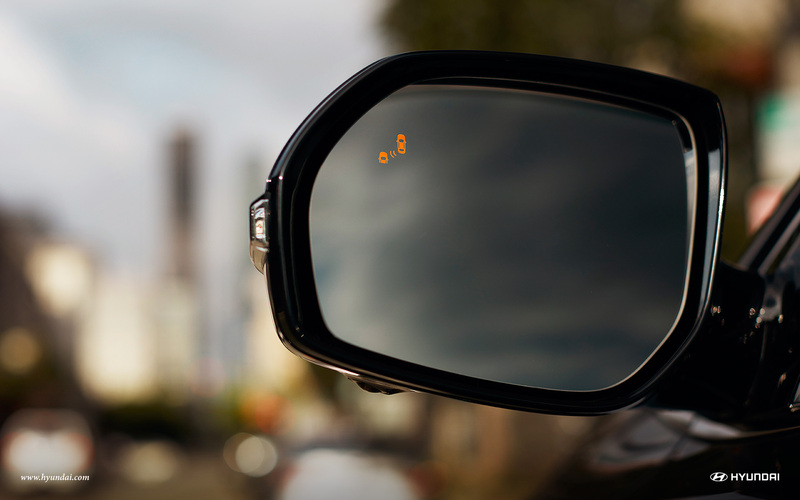 They’ll help you stay protected by scanning the area around your Santa Fe Sport to check for obstructions or other vehicles. Now that you’ve had a chance to read a little about the 2017 Hyundai Santa Fe Sport 2.0T Ultimate, nothing is stopping you from coming down to Underriner Hyundai for a test drive. We’d be more than happy to show our Billings and Lockwood customers what this unrivalled trim level is capable of, so come see us soon!